The sun is shining and it’s time to start enjoying some frozen treats (or at least my kiddos think it is time). Like everyone else in the country, my kids have been impatiently waiting for the warm weather. Last evening they were begging to make some Root Beer Float Popsicles to have for today’s warm weather (ha ha! it is only hitting a high of 60 Degrees today). The hubby and I could not convince them that it is not real summer weather yet, lol. We just let them have fun and make their favorite Root Beer Float Popsicles. Why spoil their fun? Coming up with spring and summer treats that do not require a ton of ingredients and are simple is always a challenge. 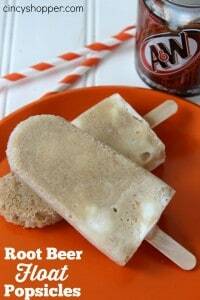 Root Beer Float Popsicles are both simple and only require 2 ingredients. PERFECT treat in my opinion. My kiddos love popsicles we make them all summer long. 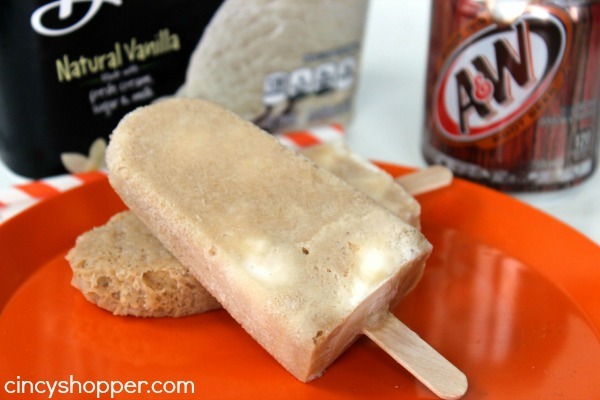 Root Beer Float Popsicles are the only popsicle that ALL of them can agree on. I made the mistake of showing them how easy they are to make. 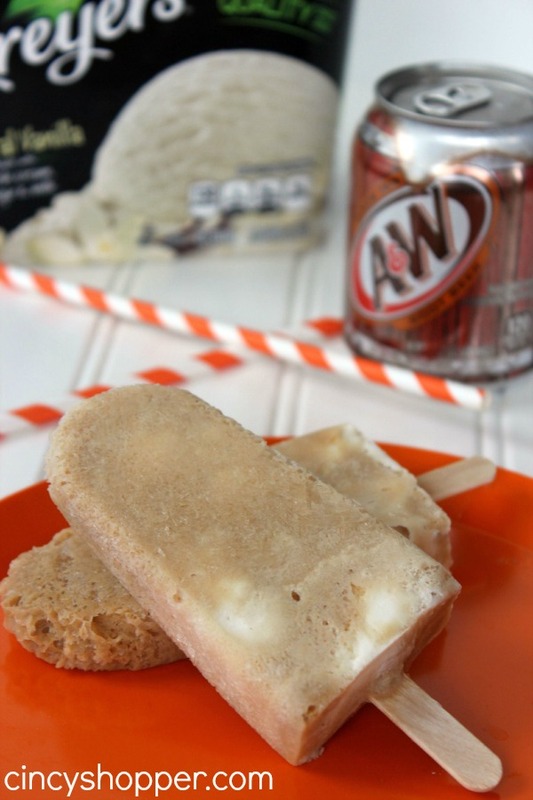 All that is needed to enjoy a root beer float in popsicle form is root beer and ice cream. So simple but I thought I would share our treat idea with all of you. If you let sticks soak in boiling water for 15 minutes helps keep them from rising in the mold while freezing. Get your Root beer ice cold before starting. I used cans and put them in my freezer for 50 minutes. 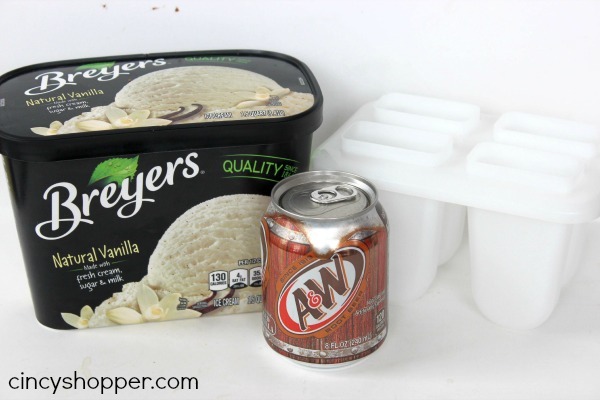 You are going to alternate layers of ice cream and root beer in the mold. Watch out for it to foam over clean up any overflow. 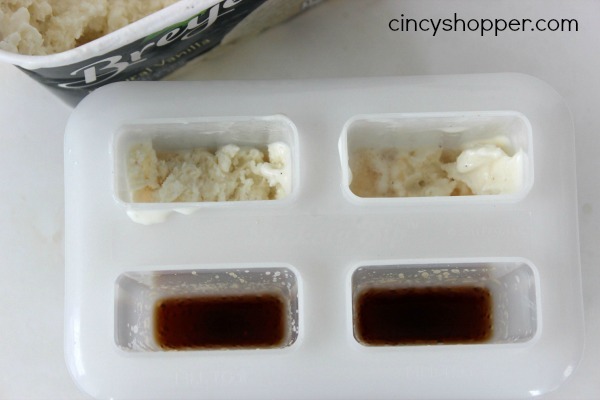 Run mold briefly under hot water if needed to release popsicles. My hubby is a HUGE root beer fan and always polishes off a few of these in the late summer evenings. I am so anxious for the REAL warm weather to be here. I promise I will not be complaining about having to make tons of these this summer. The kiddos thought it felt like summer today. They all munched on their Root Beer Float Popsicles and then headed out the door with no jackets. CRAZY kiddos, ha ha. Tomorrow is going to be even nicer than today. YIPEE, I think spring has finally arrived.